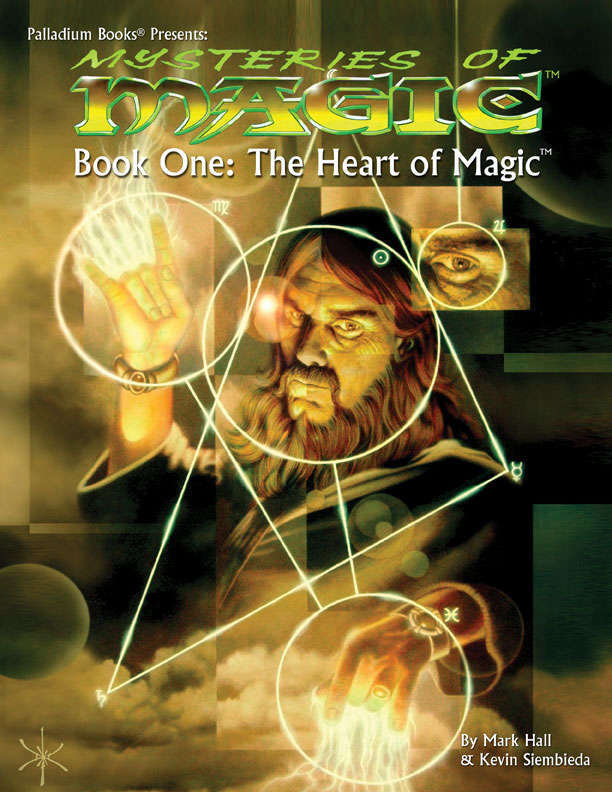 The Heart of Magic™ delves into the history, secrets and mysteries behind Wizardry and spell casting, with never before revealed details and insight. It also touches upon Warlocks, Cobbler Goblins and Priests, and presents information about Wizard apprenticeship, auras, true names, new Wizard O.C.C.s, variant Priest O.C.C.s, new spells and much more. The Mysteries of Magic™ series will unlock many other secrets of magic, and reveal all types of forsaken and forgotten specialty magicks. Theories on how magic works. The history of magic. Greater insight to magic and how different aspects work. Wizards and apprenticeship, Familiars, true names, scroll conversion, jobs, guilds, spell books, new spells, new skills & more. New – the Forsaken Mage O.C.C., driven against all odds. New – the Half-Wizard O.C.C., a split-class spell caster. New – Priest variants: Healer, Scholar and Warrior. New skills, world information and more. 96 pages by Mark Hall and Kevin Siembieda.